Austrian ghetto poet; born in Stry, Galicia, 1846. 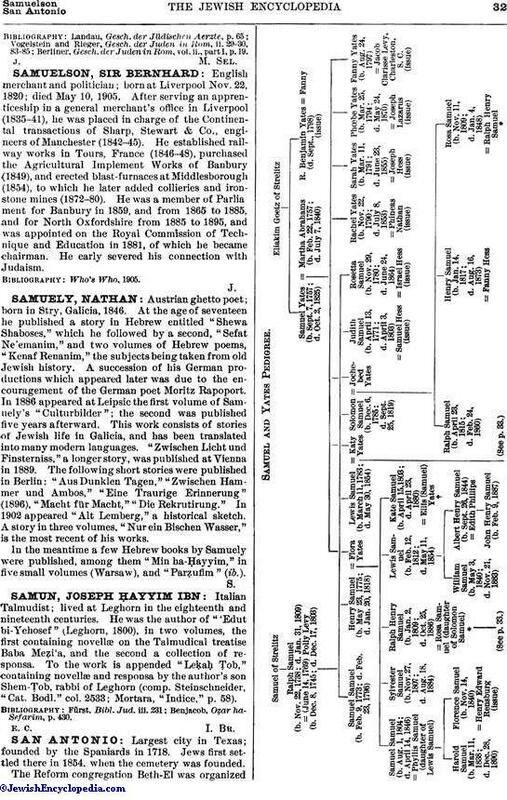 At the age of seventeen he published a story in Hebrew entitled "Shewa Shaboses," which he followed by a second, "Sefat Ne'emanim," and two volumes of Hebrew poems, "Kenaf Renanim," the subjects being taken from old Jewish history. A succession of his German productions which appeared later was due to the encouragement of the German poet Moritz Rapoport. In 1886 appeared at Leipsic the first volume of Samuely's "Culturbilder"; the second was published five years afterward. This work consists of stories of Jewish life in Galicia, and has been translated into many modern languages. "Zwischen Licht und Finsterniss," a longer story, was published at Vienna in 1889. The following short stories were published in Berlin: "Aus Dunklen Tagen," "Zwischen Hammer und Ambos," "Eine Traurige Erinnerung" (1896), "Macht für Macht," "Die Rekrutirung." In 1902 appeared "Alt Lemberg," a historical sketch. A story in three volumes, "Nur ein Bischen Wasser," is the most recent of his works. In the meantime a few Hebrew books by Samuely were published, among them "Min ha-Ḥayyim," in five small volumes (Warsaw), and "Parẓufim" (ib. ).